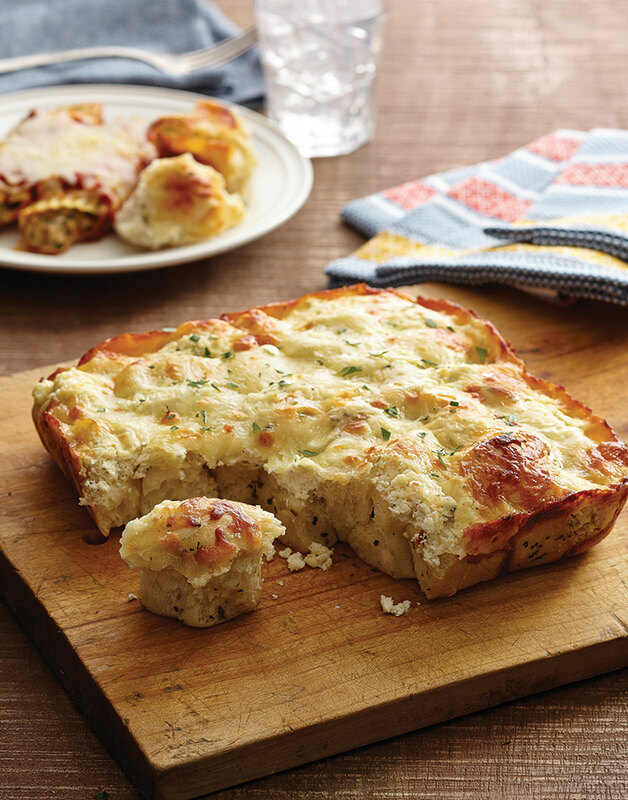 Garlic bread just got easier to make, and eat, with this cheesy “pull-apart” version made from dough cubes. Preheat oven to 350°. Coat an 8-inch square baking dish with nonstick spray. Chop dough into 1-inch pieces and arrange on bottom of prepared dish. Sprinkle Italian herbs over dough and bake 10 minutes. Dollop Boursin onto dough, then spread evenly; sprinkle with mozzarella and bake until cheese melts and starts to brown, about 20 minutes. Let rolls cool 5 minutes, then sprinkle with parsley.